Join Fleming’s for a burger and wine pairing that’s in a class of its own. 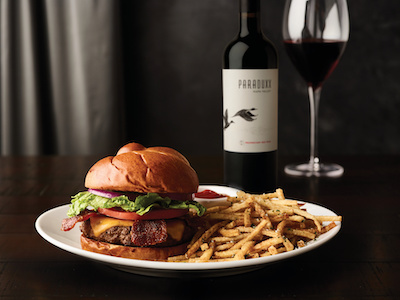 The duo includes Fleming’s popular Prime Burger; a combination of USDA prime beef, Wisconsin cheddar cheese and peppered bacon with French fries and paired with a glass of Paraduxx by Duckhorn. The proprietary red blend from Napa Valley layers black raspberry and blackberry pie with notes of cinnamon, vanilla bean, and brown sugar. The special is available exclusively in the bar, now through May 10.